The Department of Civil Engineering (CED) is continually upgrading in terms of academic programs and research infrastructure with Bachelors and Masters Programs . Well-equipped Laboratories with modern sophisticated instruments to tackle new challenges in research. Master’s program in Geomechanics & Structures commenced in 2014 with the view to produce post graduates proficient in both Geotechnical and Structural engineering. Contemporary software packages like Plaxis 3D, Ansys, E-Tabs & SAP are being conducted to the post graduate students and research scholars. MOUs with professional societies like IGS, GRACE, APS, ICI, ASGC, BAI etc.- a feature which very few have achieved in Kerala. M-Tech thesis in Geotechnical Engineering, AISAT-GRACE award for the best B.Tech thesis in Civil Engineering, annual best paper presentation contest, Tech fest etc. CED is advancing step by step to achieve our cherished goal of becoming a front runner in the field of engineering education in Kerala. Several technical talks by professional experts and many veterans from the industry are being organized for the students. With an intension to improve the employability of students one day workshops have been conducted in collaboration with established professional bodies. 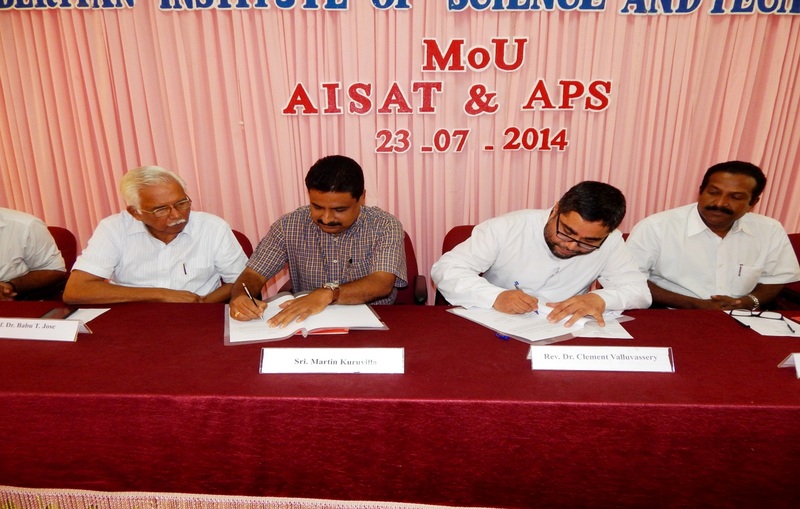 A Memorandum of Understanding was signed between Association of Piling Specialists, Kochi and Albertian Institute of Science and Technology, Kalamassery on 23rd July, 2014 with an objective to promote professional and academic interaction in the field of Geotechnical Engineering in general and piling activities in particular. The Civil engineering students got the opportunity to host an intercollegiate quiz competition – Crescere’14, being a student chapter of Indian Concrete Institute. 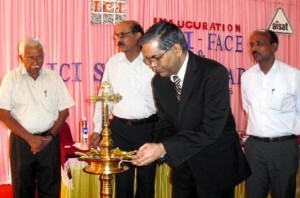 The quiz was organized by Indian Concrete Institute- Kochi Chapter on 1st March 2014. 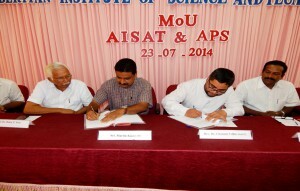 Teams from nine prominent engineering colleges participated in the event. Four teams were qualified into the finals. 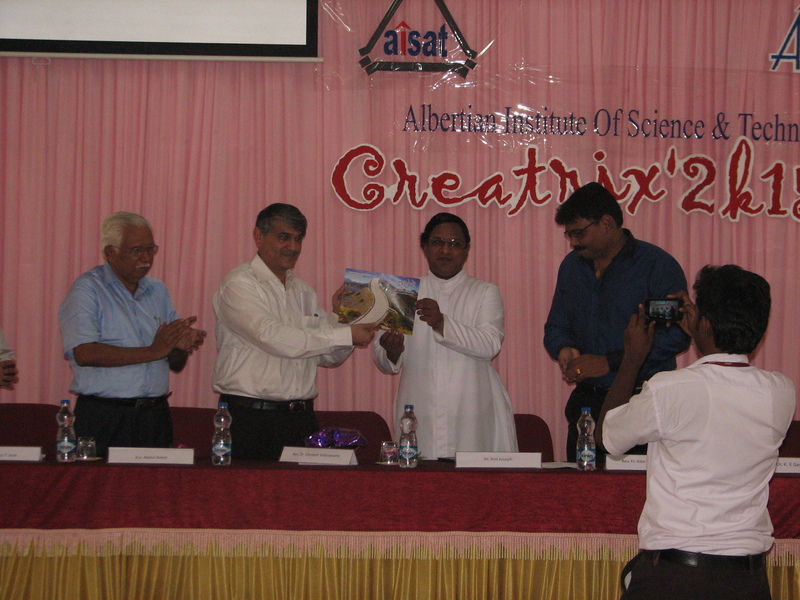 The B.Tech Civil engineering students organized Creatrix’2k15– on 26th February 2015 an inter-collegiate technical fest exclusively for the Civil Engineering students from various engineering colleges of the state. The day was eventful with an array of contests like ‘Eureka’- The Quiz competition, ‘Tasarim’- The Poster making, ‘Regalo’- The Power point presentation and ‘Ojo’- The Picture dialogue. All the contests had excellent participation with both external and home teams. A beam casting competition was conducted for fifth semester CE students as part of practical oriented study of Design of concrete structures. Winners were selected based on detailing, design procedure adopted and the presentation. Faculty members of the Civil Department evaluated the models and declared the winners.